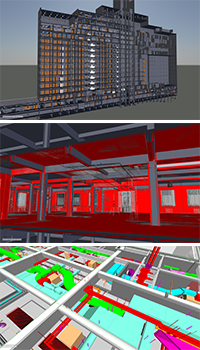 TDX utilizes the latest Building Integration Modeling (BIM) software at a variety of our project sites. The AutoDesk BIM 360 Glue application is the leading software in cloud based management and coordination. 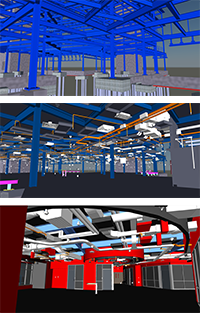 BIM 360 Glue streamlines the turnover from design to construction by engaging both the project designers and contractors to work together on any discrepancies between field conditions and design. Submittal Exchange, a web-based platform by Oracle. This is the central exchange hub for all contract submissions making submittals, shop drawings, RFIs, Information Bulletins, and minutes easily accessible and available to both mobile and computer users. Project scheduling is created, managed and updated through Oracle’s Primavera P6 software, the industry leader in construction scheduling.